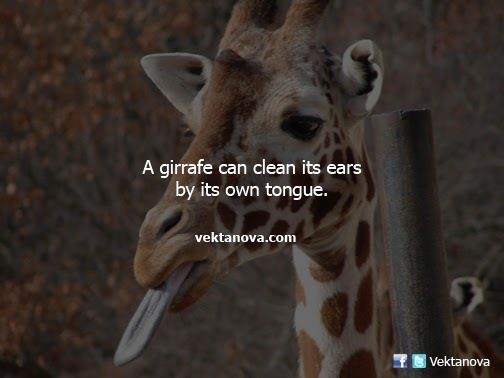 A giraffe can clean its ears with its 21-inch tongue, this tallest animal in the world has adaptable tongue to do some purposes such to clean their faces as their necks are too long to be reached by their feet. A giraffe's tongue also can be used to snap some leaves from high trees. No response yet to "A Girrafe Can Clean Its Ears with Its Own Tongue"